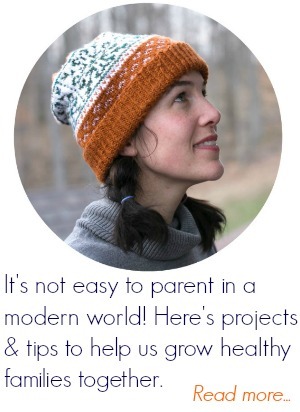 As we continue this homeschool journey, I'm realizing the benefits of reflection more & more. So much that I no longer pen in a formal curriculum day to day. 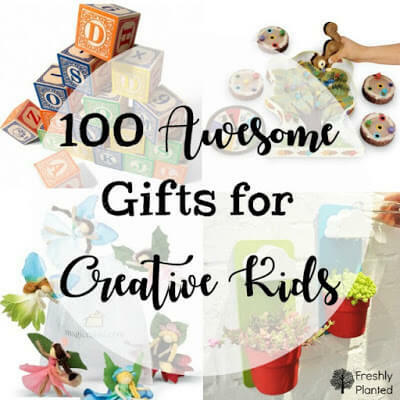 While this worked in the classroom, I've recently realized it's not helping our home lessons. It becomes easy for me to get task-focused and frustrated/defeated when we don't accomplish everything in our day. It also doesn't leave room for student-led days- which are easier when there are two students in your class versus twenty-five or thirty (wink). So I have begun writing weekly goals instead, with post-it notes on our days with tentative goals to get us there. Then, at the end of the day, I revisit our day and pen in what actually happened. A couple weeks ago, I had some word family and copywork planned- but ended up abandoning it to study Isia's question of "Why hasn't our lake frozen yet?" We ended up with an Isia-led experiment of two glass jars- one with tap water, the other with water & salt (because the ocean has saltwater, she said) set outside to freeze- and the majority of her writing & math for the day centered around her observing the jars throughout the day. So here are some things last week that actually happened! As we continue to work on Isia's wonderful strong will together (ahem), I keep getting pointed back to form drawing. 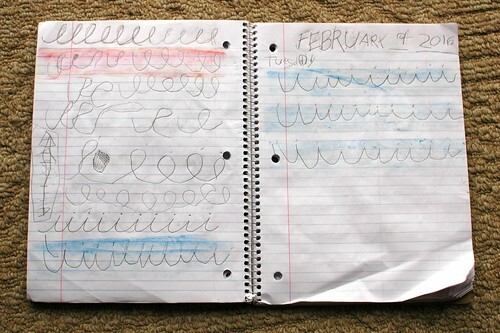 She's also interested in cursive, so I introduced a few beginning forms for that. All of our form drawing has been very informal, but I've discovered a free online Waldorf form drawing curriculum I like, with stories, that we'll begin this week with Billy. 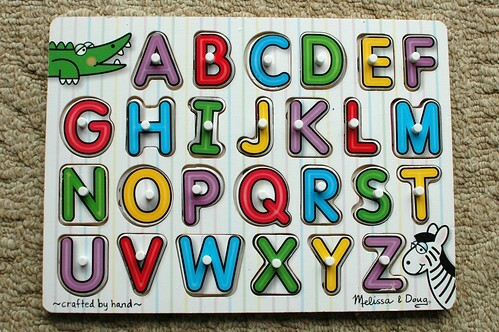 This will, hopefully, prepare him for more formal letter writing next year, and harness a bit of his strong will as well! 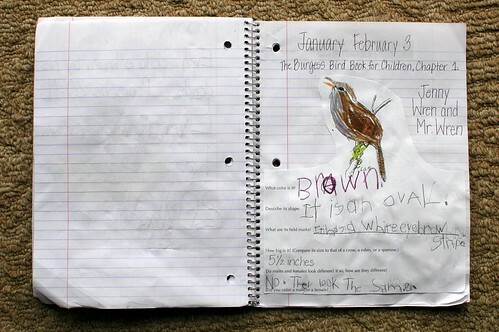 We've been working through the Burgess Bird Book for Children, per her request, and enjoying it a lot. Last week found us gluing the materials we've created so far in her lesson book. I have to admit that my bargain lined books haven't held up as well as I thought they might. I began the year thinking we'd be writing more so it wouldn't matter, not realizing we'd be drawing and gluing as much into it. We used this blank book last year, only $6 through Amazon, which it held up wonderfully and didn't bleed much (especially for the price). So we'll be finishing up this notebook, and likely ordering another one of those next. 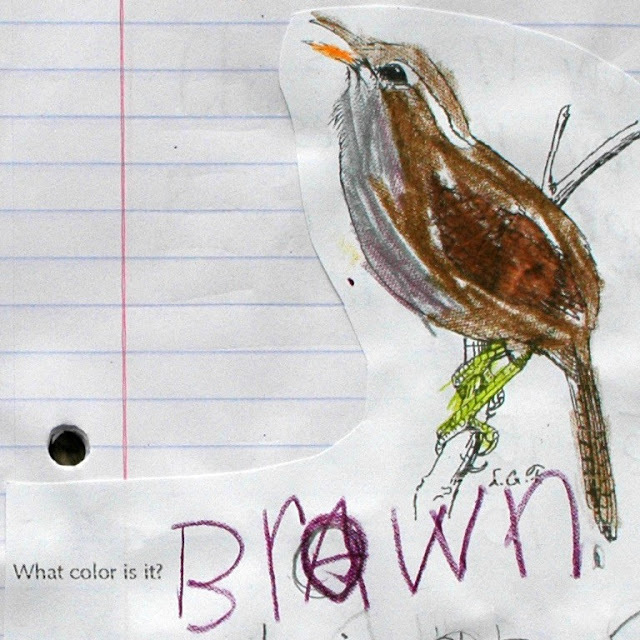 For our Burgess Bird Book materials, we're filling out a information sheet together for each chapter's bird(s) from Cornell's Bird Coloring Book (free pdf). Isia is using our Peterson Field Guide to reference each bird's coloring. 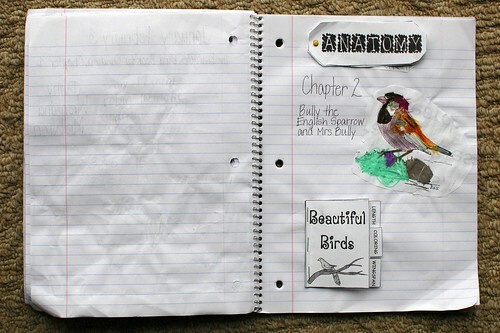 We're also using these free bird lapbook activities to store information on each bird, which are fun to cut out & put together. 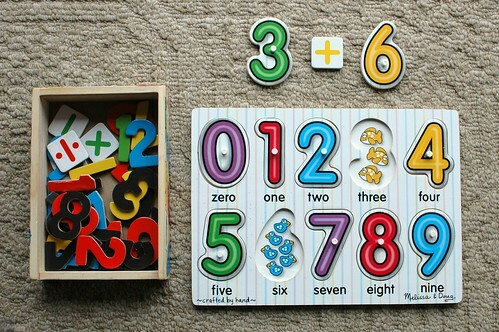 And this wooden number puzzle to practice number recognition. We've also been using it for simple addition- "What is 3 + 6? Let's count all the animals and see." Very easy, low prep fun. I use the addition out of our magnetic number set, but you could easily just jot it down on a piece of paper. Since we'll continue using the magnetic numbers, I wanted to introduce them now so he's comfortable using them.